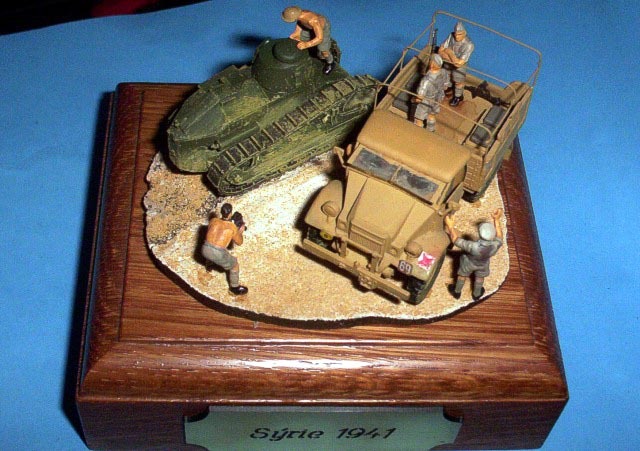 Diorama shows a scene from the Syria-Lebanese borderland shortly after the end of the operation EXPORTER in 1941. Czechoslovak Infantry Battalion 11 moved northwards then and his soldiers had got opportunity to study abandoned Vichy tanks. 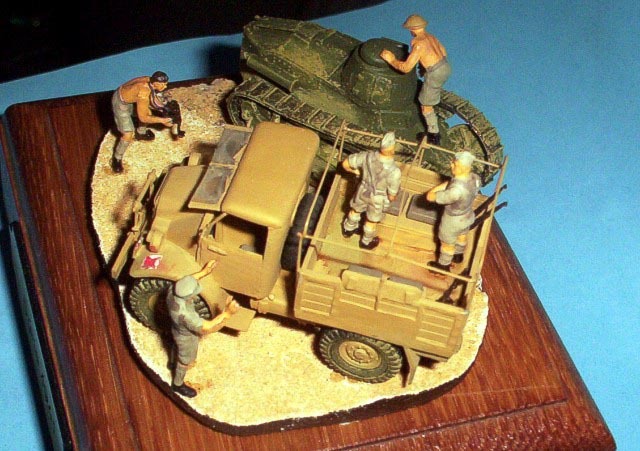 Particullary this type was used by Czechoslovak Army itself in twenties. 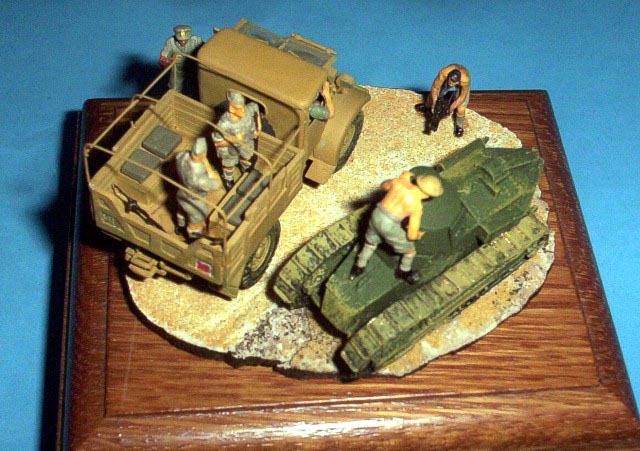 Used models: Quad Gun Tractor by ESCI, Renault FT-17 by RPM and British Weapons by Extratech. 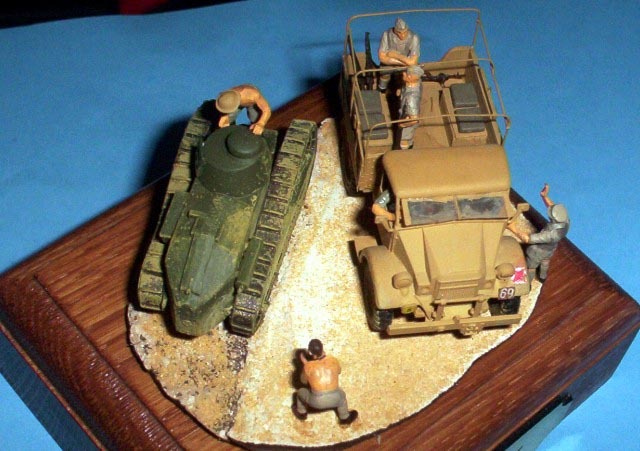 Used figures: Gunners from the 25pdr Howitzer, driver from the Quad Gun Tractor and a tanker from Matilda II by ESCI, an infantryman from 8th Army Scottish Infantry set by Revell, a machine-gunner from 8th Army set by Airfix and heads and arms from Police set by Preiser.